Patricia Steffy attended Kenyon College and American University. She is a recent refugee from the corporate world where she worked as an analyst for a law firm for more than 16 years. An escape plan started to develop as she pursued her interests as a writer and producer through Circe’s World Films. 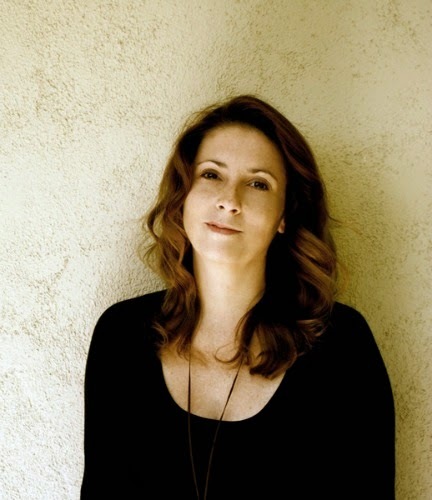 She has been involved in co-and exec-producing a number of feature and short films ranging from broad comedy to psychological drama, including the award-winning short Touch. She is currently developing Dating in LA and Other Urban Myths as a web series. The series is based on her long-running blog of the same name which can be found here: http://www.datingandothermyths.com. 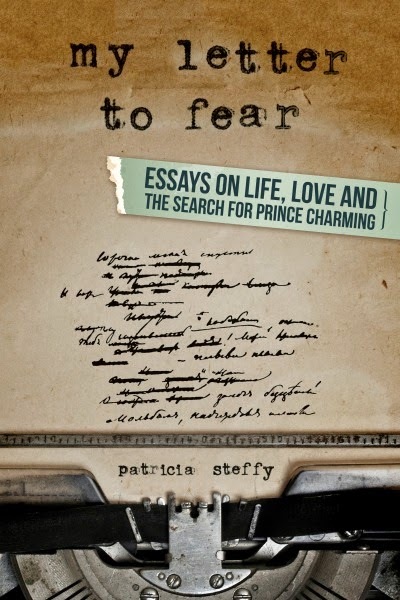 Patricia Steffy: Over the course of two years, I conducted interviews with the fabulous women around me and their equally fantastic friends for My Letter to Fear: Essays on Life, Love and the Search for Prince Charming. I put no restrictions on age, or ethnicity. They just needed to be willing to answer some questions. I asked them about the expectations they had for their lives when they were very young versus their current realities as adults. I asked them to tell me the best things about themselves (a question which was surprisingly difficult for people to answer) and the worst things. Those answers—the sad, the ridiculous, and the hysterical—and my own experiences became the basis for these essays. 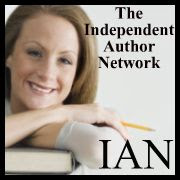 IAN: Is My Letter to Fear published in print, e-book or both? PS: The book is available in print and electronic formats. IAN: Where can we go to buy My Letter to Fear? IAN: What inspired you to write the My Letter to Fear? PS: I was at a point of serious reassessment in my life. I had just quit my job of nearly 17 years at a law firm, and for the first time in a very long time I was asking myself what I really wanted to do with my life. Mid-life crisis? Maybe. But I was definitely at a point where I knew that the road I had been on for so long was not what I wanted for the rest of my life. Part of the process involved taking a look at the differences between the expectations I had for my life when I was a teenager versus what my adult reality was. After having casual conversations with friends about it, I realized that a lot of people I knew were going through the same type of reassessment. Then I began interviewing women in a more organized fashion - friends, friends of friends, etc. about the issues they were facing (career, romance, relationships generally, abuse, aging, etc). Those interviews and my own perspective on them inspired the actual writing. PS: When I decided to create the collection, I relied a bit on my previously written work to give me a base. I pulled those pieces together, and completed rewrites on that first batch. 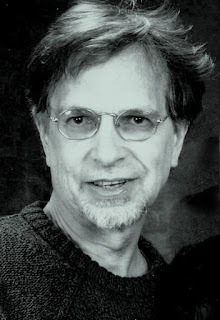 In some cases the edits were minor, and other pieces were near total rewrites. Then I reviewed what I had to see where gaps existed—either emotional gaps, or experience gaps. From there I created a list of possible essays that needed to be written in order to fill those gaps, and began another round of interviews (both in person and by email) to see where those would lead me. Of course, there were also some surprises along the way—situations where I was so inspired by someone’s story that I knew a piece had to be written and added to the collection. IAN: How long did it take to write My Letter to Fear? PS: t took about a year to complete all the interviews and write the new pieces. However, I seem to write in creative spurts, so it wasn’t a year of straight writing. After the initial draft phase, I had about 25 pieces written (some of those were workshopped as part of a staged reading to benefit the East Los Angeles Women’s Center). Then the review process began in earnest. I continued doing interviews, and then I wrote another 35-40 pieces, most of which ended up in the final book, in about four months at the beginning of 2013. PS: I’ve been told it tends toward the “wryly observational.” I don’t know that I have a consistent style when I compare my fiction writing with this kind of collection. However, I do tend to add humor to even the most serious pieces. I’m not trying to make light of the situations, just trying to ground it and make it more relatable. PS: I have a friend who is a therapist, and she was telling me about a technique she was reading about where the person seeking therapy wrote a letter, as part of the therapy, addressed to her concerns (Dear Anxiety, Dear Anger, etc). And I thought that was a fascinating idea. You’ll notice that many of the pieces, though not all, are addressed either to types of people, emotions or concepts. The original title was only My Letter to Fear, but I wanted people to understand that the book also included a good deal of humor and that it was a collection of essays rather than a single story. PS: A friend of mine read the book early on and said it was like having a conversation with your best friend. I loved that! Not every piece is going to speak to every reader, but my goal is for people reading it to see themselves in the struggles, in the stories, or in the emotions and know that they are not alone. There’s strength in the shared experience—in both the laughter and the tears. PS: All of the experiences described in the book are based on real experiences (which is unfortunate in some cases), but they aren’t all my experiences. Most of the pieces are actually reaction pieces based on interviews with other women. PS: Yes! I would include a forward in the book. It’s not strictly necessary in the printed version because a breakdown of how the book came to be is included on the back cover. Alas, when you get the electronic copy, you do not get that information unless you read the synopsis. If people don’t read that synopsis, they tend to think that the stories are all mine—in actuality, very few of the stories are my own personal experiences, but rather my perspective on the stories and information gained during the interview process. Other than that, I do wish I hadn’t waited so long to get it out in the world. PS: While there is a great deal of humor in the book, there are some darker pieces. I had to be in a place mentally where I could connect with those emotions in order to write about them honestly. That was tough. It is one of the reasons that I have to write alone. I can’t really let go emotionally if I’m writing in public or in a room with other people. PS: My next two projects aren’t books, but I am definitely back in “create” mode. I've written the first 10 episodes of a web series called Dating in LA and Other Urban Myths. We shot a pilot presentation for sponsors, and we are on the funding trail to film the entire first season right now. That is based on my original blog of the same title (which I continue to write). And I'm in the midst of working on a film script. It’s a drama, but even with the serious subject, I’m infusing it with some humor along the way. In terms of books, I’m toying with another one, but I’m leaning towards fiction the next time out. Now that I’ve committed that to print, of course, the exact opposite will be true. PS: While publishing is a business, don’t be deterred if your work doesn’t fit an easy marketing category. If you have something to say, self-publish it and say it. PS: Thank you for taking a chance on a new writer!